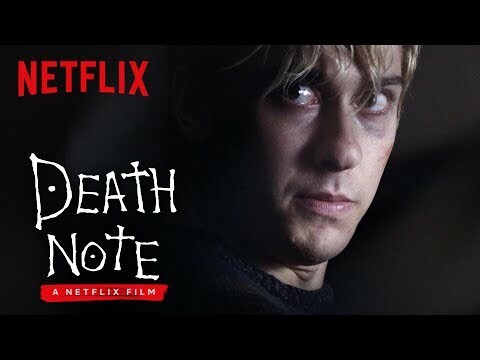 Netflix are getting in on the Japanese manga adaption game with Death Note, with Adam Wingard (The Guest, You’re Next) taking the helm, telling the tale of high school student Light Turner (Nat Wolff) and what happens when he comes into possession of a supernatural note book which kills anyone whose name is written in it, which he uses to rid the world of those he deems unworthy of life. Death Note is an increasingly insane series of books, and considering some of the movies in his back catalogue, Wingard is the perfect person to handle this insanity. Our first look at Death Note is pretty promising, even if we don’t a full feeling of what it has in store for us. And extra marks for casting Willem DaFoe as the voice of ‘Death God’ Ryuk. The brief snippet of dialogue we hear from him had me squealing with joy. Death Note hits Netflix on August 25th.